hello my name is gianfranco and I am italian. Please, read the rules (they are in portuguese, so you need to translate them with google), so you understand how to behave in our forum. 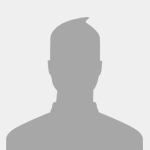 Edit your profile, updating your informations and using a nice avatar. We hope you enjoy our Community and have fun.